Capcom Describes Monster Hunter 3 Ultimate as a "Smash Hit"
Capcom has recently revealed its annual financial results, ultimately reporting profits both in terms of net and operating incomes. It was the company's revelations on game sales that were perhaps the most interesting, with Resident Evil 6 hitting 4.9 million units but failing to hit its targets, and Dragon's Dogma being a "greater-than-expected hit" in Japan. But what of Monster Hunter 3 Ultimate on the Wii U? 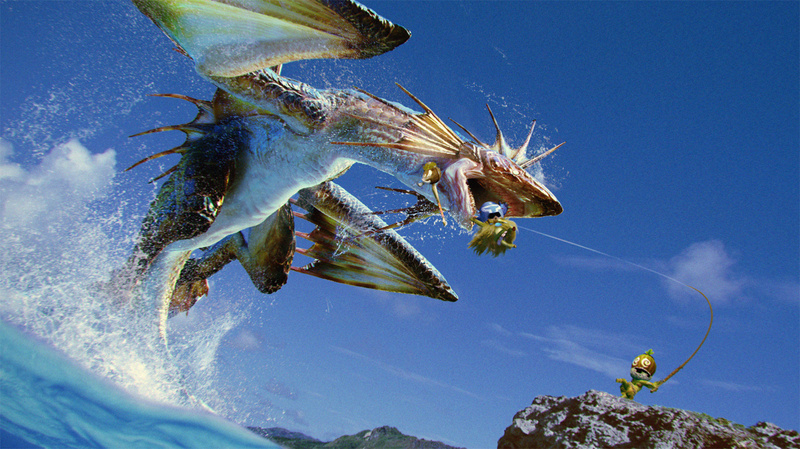 With a focus on the Japanese market — as the results refer to "Monster Hunter 3 (Tri) G HD Ver." — the developer said the following, highlighting a success without giving firm figures. Furthermore, "Monster Hunter 3 (Tri) G HD Ver. ", which was our first title for the new home video console "Wii U" that was launched in December 2012, also became a smash hit. However, its package sales were generally soft. We're unsure whether "package sales" refers to retail copies — suggesting significant digital success — or the Wii U hardware bundle that was prominently marketed in Japan. In any case, unlike with other titles the summary (no specific figures were given elsewhere in the report) didn't emphasize Western sales; that doesn't necessarily mean that the title's performed particularly poorly overseas, simply that Japan is still its go-to market. Potentially disappointing language for Western fans of the franchise is that, when outlining key strategies for the coming year, Monster Hunter 4 was mentioned for extensive "domestic" support, as opposed to targeting overseas regions. As for the forecast for the next fiscal year ending March 31, 2014, we expect high profit, which are 97,000 million yen in net sales and 12,000 million yen in operating income by directing our development resources to the development of online games (mobile, PC online and downloads for consumer games), which is a growing area, and by releasing large-scale titles such as "Monster Hunter 4" and "Lost Planet 3" focused on the domestic and overseas markets respectively. It's a question of wording and interpretation of "respectively", but Lost Planet 3 is confirmed for the West this year, while there hasn't been a peep about MH4. Of course, localisation can take time for the monster slaying franchise, as we already know, and we'd be surprised if Capcom doesn't give the 3DS exclusive a punt in the West. If that wording does suggest a domestic focus for the title after its summer release, however, the rest of us may have a bit of a wait on our hands. Tweets from Capcom's investors meeting have revealed a further nugget of information on Capcom's hopes for Monster Hunter 4 when it arrives this summer which, as you'd expect, are positive. They worded the monster hunter 4 like that because if and hopefully when it's announced here it will not be in this fiscal year. @siavm Yep, probably. As I said I think it'll come West, but not for a while yet. Yeah, it's not like we didn't know (although we really don't know xD) that it would take at least 6 months but more likely a year for it to come to the west. It doesn't really bother me because this year is crowded and I won't have time for everygame I want to play. Considering 3U was just released, they wouldn't announce a localization of 4 anytime soon, even it was already kinda hinted it'll come west. All the more reason to be hopeful that MH4 comes to the Wii U! MH4 can wait a little longer. We still have 3 Ultimate to enjoy! Glad to hear MHTU is doing well. I know I'm getting plenty of play out of it. MH4 will be great as well, but I can wait since MHTU is very fresh right now. @GiftedGimp Because everything's rosy and wonderful and happily skipping through meadows? Personally, I think we cover the broad spectrum of what's happening with Nintendo. Some days have happier news than others, and I believe that's just the way it is; hiding from negatives does its fans nor Nintendo any favours. We've also constantly repeated a belief that the Wii U could have a bright and exciting future from the latter half of the year onwards, in news articles, features and editorials - it's all about balance and presenting an accurate picture. RAAAAWRRR, MH3U is the best Wii U game out there! if they make 4, they should tune up the graphics more. or else it will look all the same. @LonDonE Yeah it was great! But I doubt it'll come over hear since it's a MMO geared towards the Chinese audience. If it ever goes west maybe it'll be in some other form or a different developer. It'll be great if it comes to Wii U.
I don't want another lost planet, give us mh4 in time for the holiday season. Well, Monster Hunter 3 Ultimate was really fun to play locally so I'm glad they were at least satisfied with the results. MH has to be handheld focus so Capcom has no choice but to fight along with 3DS for its stable installed base. So Wii U will be in benefit too! I loved Dragon's Dogma on my 360 and I hope to play a sequel on my Wii U. I'm sure every MH fan would love it! I called it on my blog a while back. MH3U would be big. Capcom, I'd much rather you bring MH4 to the states than fool around with Lost Planet. That series is stale. Capcom still thinks Lost Planet 3 will sell despite how 2 tanked. I really don't get them. i am 100+ hours in the game and there is soooo much to do! 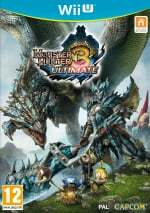 Never having played a Monster Hunter game of any kind, but always wanting to see what the fuss was about, would you recommend MH3 3DS? Bear in mind I don't own a television. i'd rather wait for monster hunter 4 ultimate edition, to be quite frank. rather than ending up with monster hunter 4 tri or whatever version they might make before the final one.